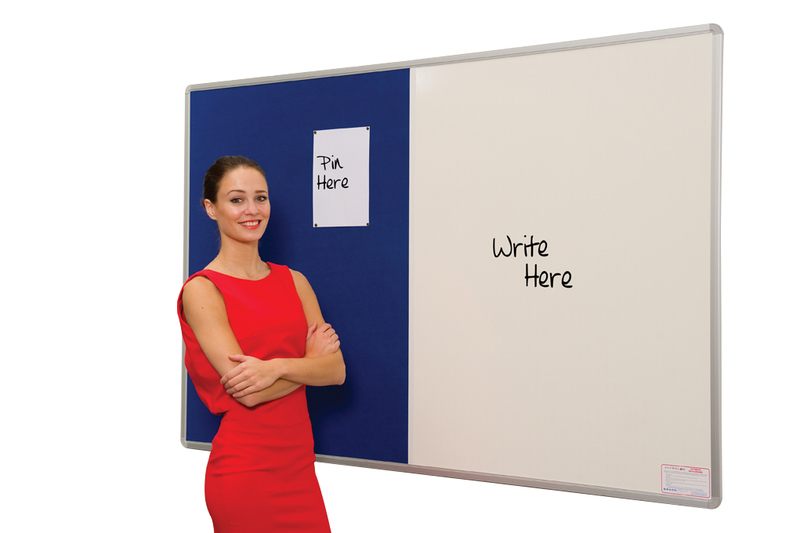 This wall mounted board is a combination of whiteboard and noticeboard. It comes in a choice of sizes in a satin silver anodised aluminium frame with rounded corners and concealed fixings. The whiteboard has a non-magnetic dry wipe surface. The pinboard is covered in fire rated felt and can be used with pins or staples. The felt comes in a choice of 4 colours - grey, red, blue and green.